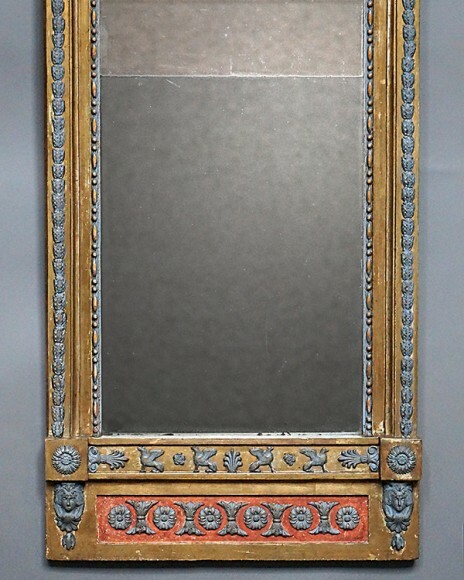 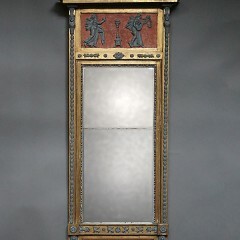 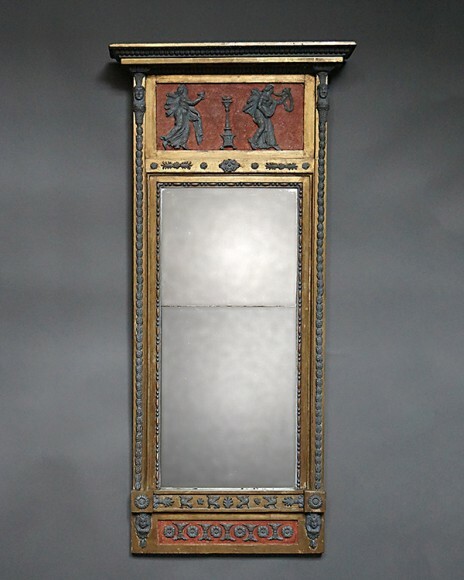 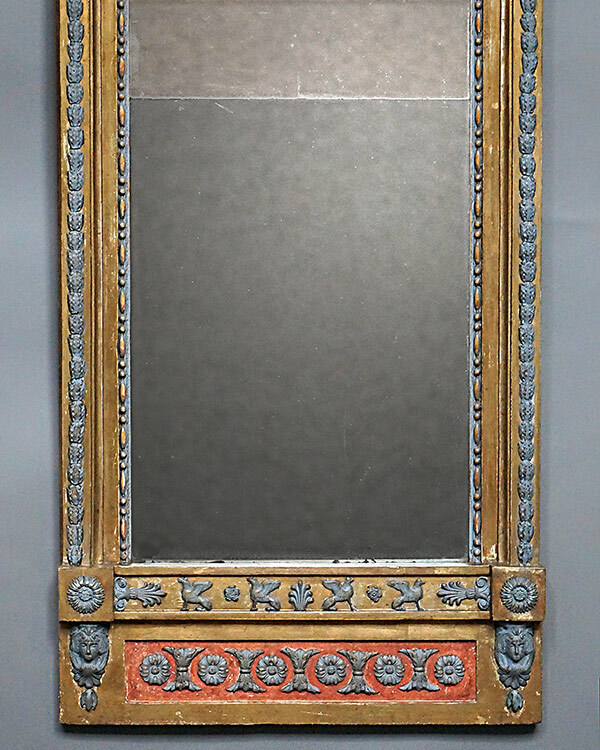 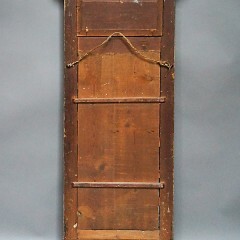 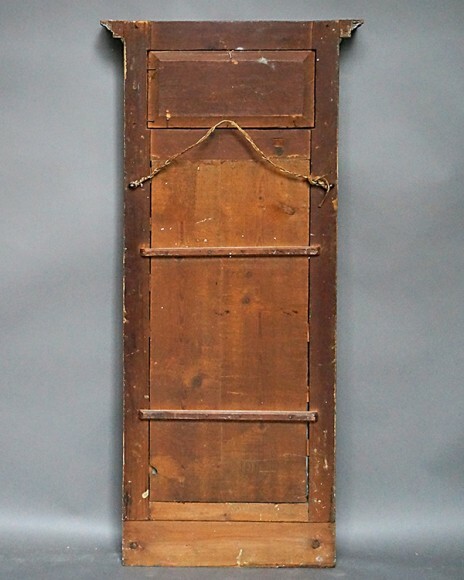 Period neoclassical mirror, Sweden circa 1820, with original two-part mirror glass and back. 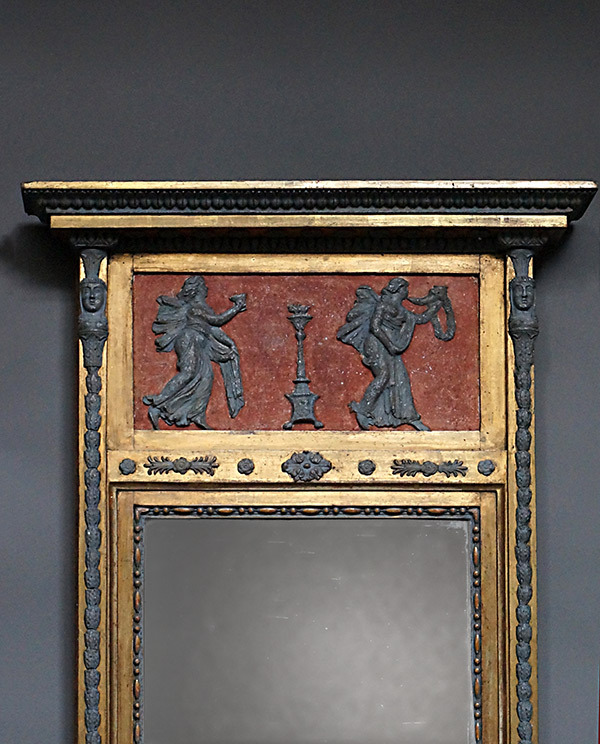 The top frieze features two female figures in bas relief bearing symbols of victory. Below the mirror is a panel with sphinxes. 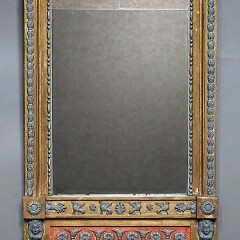 The entire frame is surrounded by laurel leaves and other classical motifs. 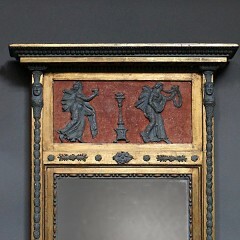 Original salmon paint and gilding.